There were lots of important reports on the U.S. economy released this morning. 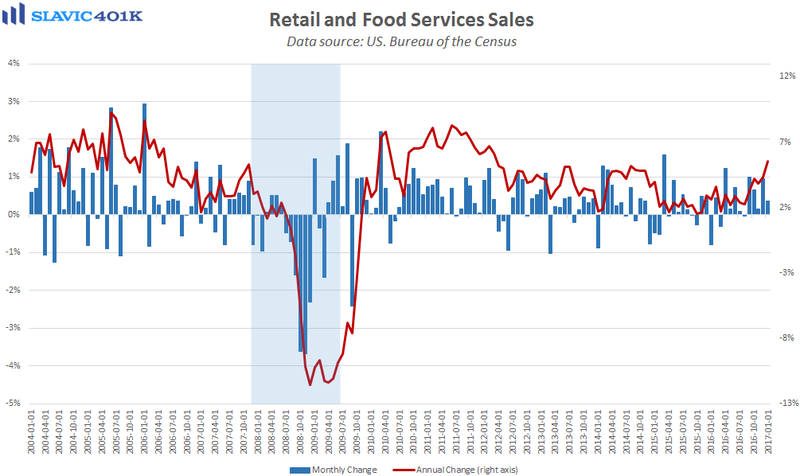 First, data from the U.S. Census Bureau showed that advance estimates of retail and food services sales for January totaled $472.1 billion. That was a 0.36 percent increase from December’s upward-revised print and significantly better than economists had anticipated. 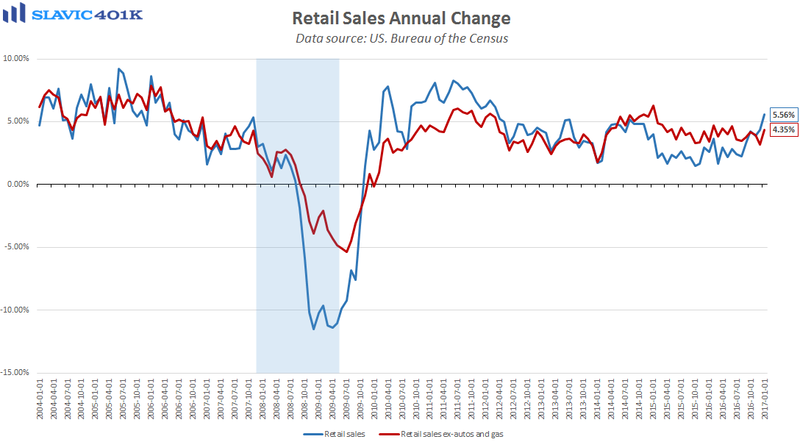 Although the strong headline gain was helped by higher energy prices, retail sales growth was broad-based last month, as evidenced by a sharp 0.7 percent increase in retail sales excluding the volatile automobile and gasoline components. 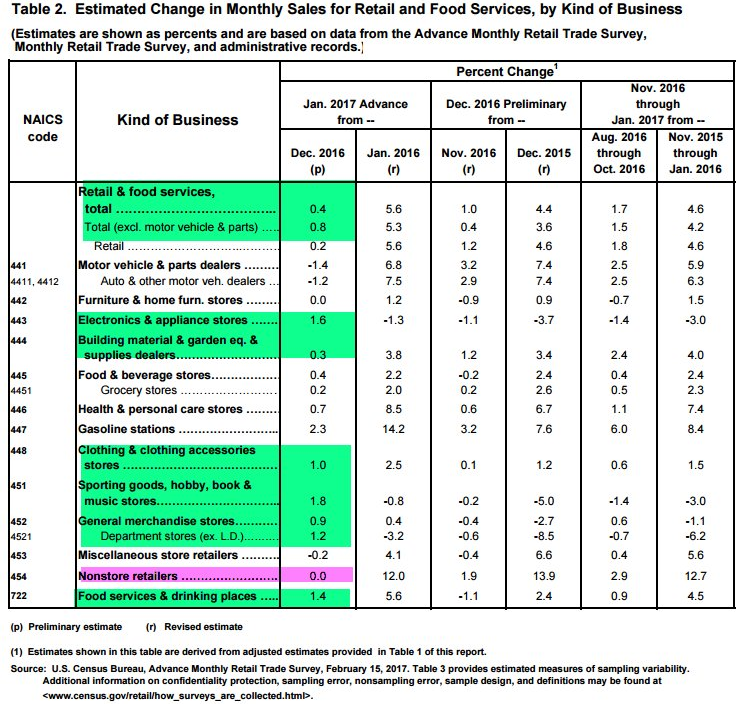 The above-trend gains in January were likely helped by continued strength in the labor market, a slight improvement in Americans’ incomes, and post-holiday discounting by retailers. Since consumer spending accounts for more than two-thirds of U.S. gross domestic product (GDP), this overall encouraging report suggests that economic growth in America is off to a solid start in 2017. Looking ahead, though, retail sales could slow in February because the Internal Revenue Service said that tax refunds for millions of U.S. households who filed early could be delayed. 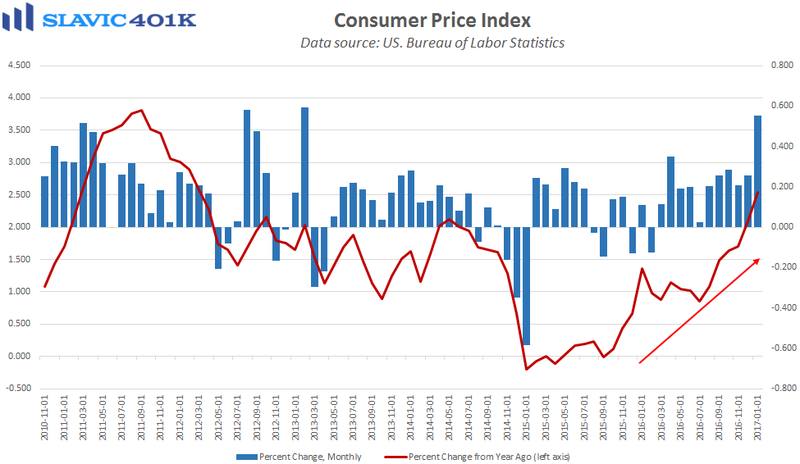 Next, a report from the Bureau of Labor Statistics (BLS) showed that household inflationary pressures firmed last month, with the consumer price index (CPI) for all urban consumers jumping by 0.55 percent. That was more than expected, the second monthly increase in a row, and the largest sequential gain since 2013. On a year-over-year basis, headline CPI rose by 2.5 percent in January, the fastest pace of annual growth since 2012. 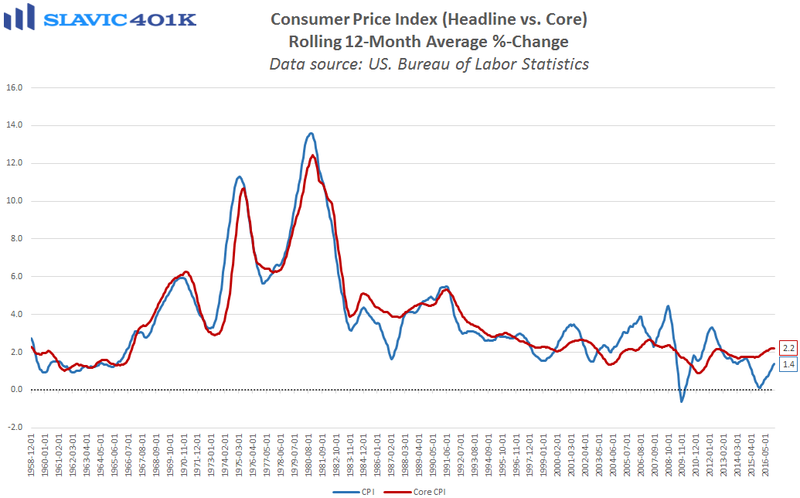 A 7.8 percent spike in the cost of gasoline drove most of the headline gain but “core” CPI, which excludes food and energy prices, still rose by 0.31 percent in January. That was the largest monthly gain in a decade and enough to raise the 12-month change to +2.3 percent. 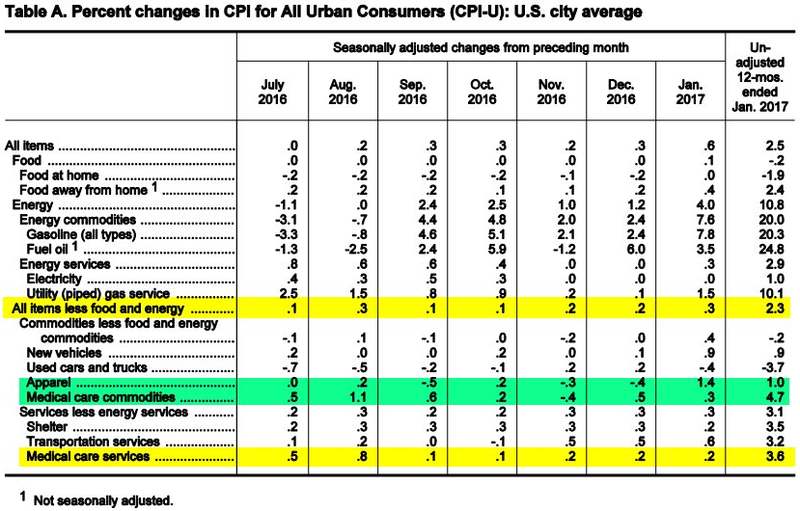 Both CPI measures are well above the Fed’s 2 percent “target” but the Commerce Department’s personal consumption expenditures (PCE) price index is officials’ preferred inflation gauge. The headline PCE index rose by only 1.6 percent in December (y/y) and the January update will not be released until March 1st. 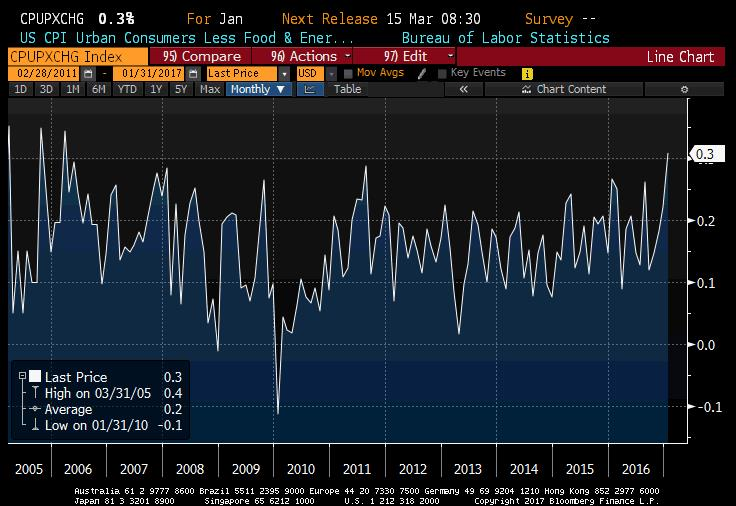 However, a strong PCE print could confirm the recent PPI and CPI data and make it a lot easier for Fed officials to justify additional rate hikes this year. 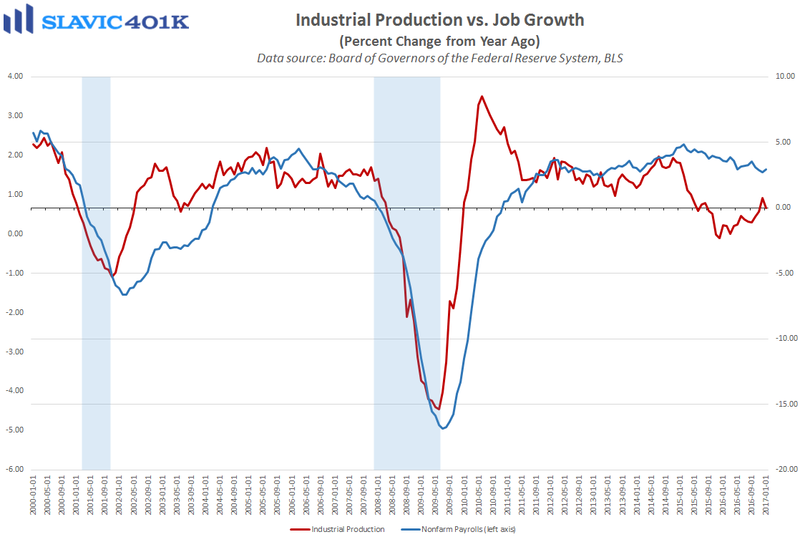 Elsewhere, data from the Federal Reserve Board of Governors showed that industrial activity in America cooled last month, with total production falling by 0.3 percent. That was worse than economists had anticipated and the largest monthly decline since September. 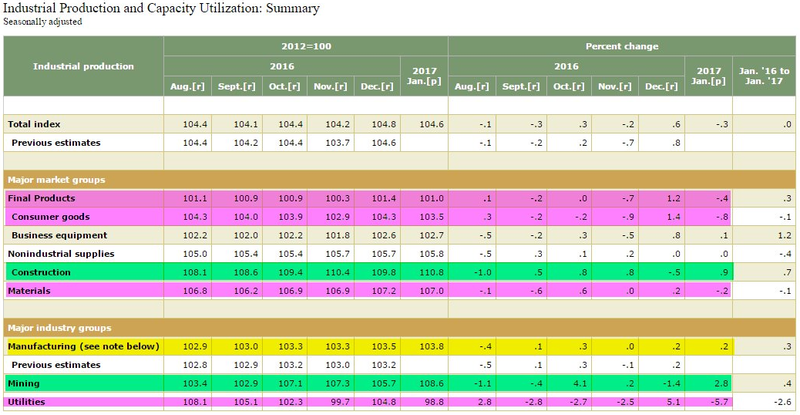 Much of the weakness was due to a 5.7 percent decrease in utilities related to warmer temperatures across the U.S. (reduced heating demand). More importantly, overall U.S. industrial activity on a year-over-year basis rose by 0.01 percent in January. Although weak, it was still the second y/y gain in a row following fifteen straight months of annual declines. Further, manufacturing, which makes up roughly 75 percent of all industrial production, lifted by 0.2 percent in January, the fourth gain in the past five months. 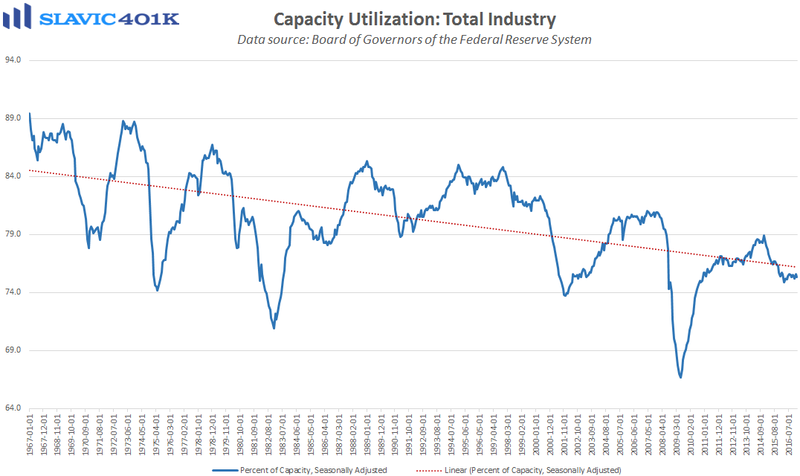 Capacity utilization, sometimes used as a leading indicator of inflation and potential output, slid to 75.3 percent last month. 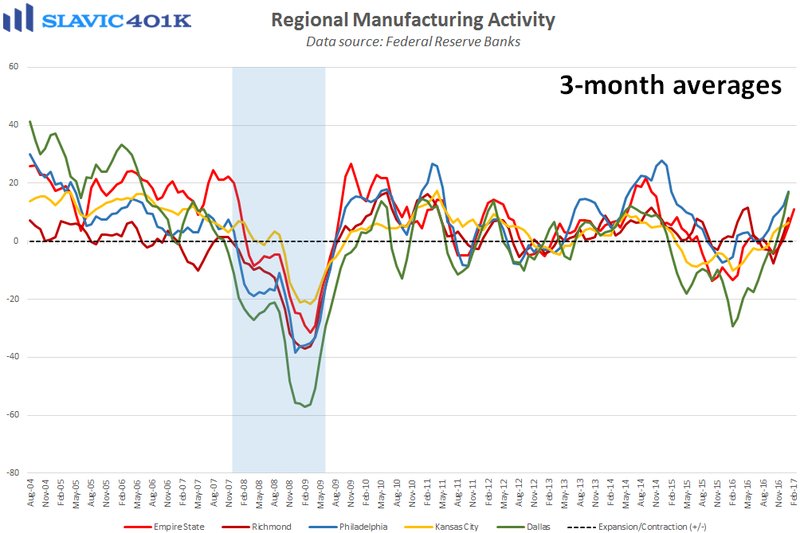 Finally, a report from the Federal Reserve Bank of New York showed that manufacturing activity in the Northeast region of the country improved considerably this month, with the general business conditions index jumping from January’s +6.5 print to +18.7. That was significantly better than expected, the largest monthly gain since June, and the highest headline reading in two-and-a-half years. 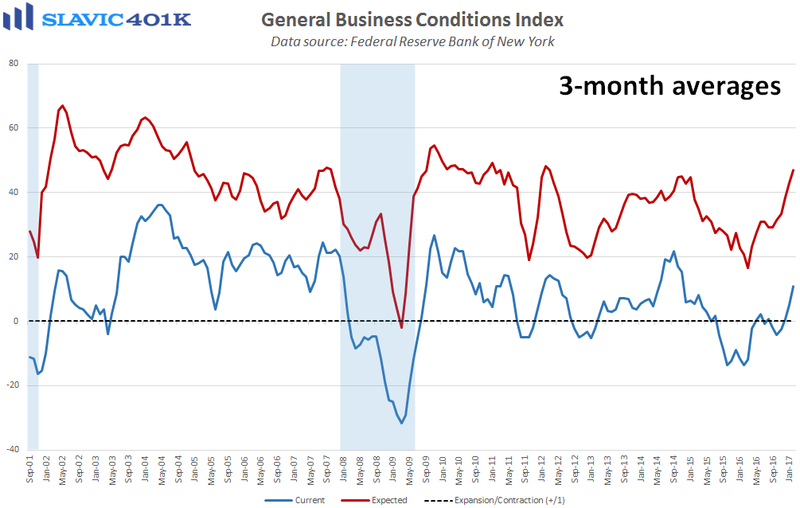 Under the hood, measures of new orders, shipments, inventories, total employment, and hours worked all improved in February but gauges of forward-looking optimism (six months ahead) deteriorated, albeit slightly.